Did you all dress up and eat too many sweets? Yes to the first one for me, remember those ghost leggings, well they came and they are awesome. As for the sweets, I am still going with them as I write this on Saturday evening! In real life this week, well it is dark with the clocks going back and it reminded me how much I hate driving in the dark! Also I am a little upset, I watched the Walking Dead, regular viewers do you think that character is dead? I hope not, I hope that was the other character getting munched on? - See how vague I am to avoid spoilers!! 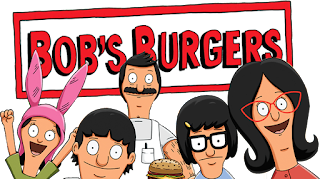 In happier news I started watching Bob's Burgers now being shown here in the UK, it is epic! In blog life, well Blog Ahead has come to an end and it has been enjoyable. It has also shown me that I am a crap scheduler. I tried and I had 5 scheduled but then I pulled three forward to use in October so I have the grand total of 2......However I have 48 draft posts ready to be brought to life. Some just have headers, some have been part worked, some are just ideas but hey I am happy with it! Lastly Sci Fi weeks starts next week, I am looking forward to spending the majority of my month in space! Are you taking part? Have a great week and OMG it is November, how the heck did that happen? One man and his tractor - Bizarre Books talks love tips! 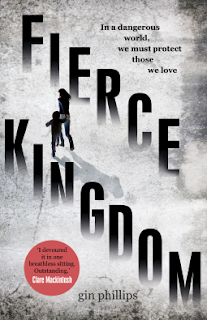 Waiting on Wednesday - New Jennifer L Armentrout! That's me Red Heather Duff, yes they got my blog name wrong! 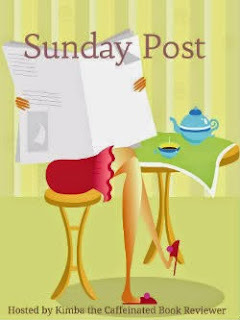 Amy at A Novel Start tells us about her favourite NoseGraze posts! So I haven't read the other books yet but I know I am going to love this series and once this paperback arrives in a couple of weeks I hope to get started on it! I WAS GOOD - I BOUGHT NOTHING!!!!! I wanted too but I resisted! I think SciFi Month is going to rock. I need to get my posts on the spreadsheet... there's some great looking posts on there I can't wait to read. I am still eating sweets now, I am going to have a killer headache tomorrow!! Sci Month is going to be great! You are right there is a lot of good posts coming up! Yep, I need to do lots of reading especially with Sci Fi month coming up! I love Meyer's book. 48 in draft is pretty dang cool. I am glad you joined blog ahead. Don't eat too much candy! Have a lovely week! Thanks! The candy is still flowing!! Good on you Heather! :) I sometimes find scheduling quite hard if I haven't read that weeks books yet - it's the memes! To have 48 drafts already prepared (yes, I call just headers prepared lol) I think that's awesome :D huge pat on the back! Just think of how many hours that's saved you! And last but not least, a big thank you for the mention! :D that post has had quite a lot of views so I take that to mean it's helping people lol. You beat me!!! I'm on my way to you shortly!! Blog Ahead was fun! I have given myself a pat!! I did not know Thor gambled!!! That would be brilliant but boo for working on Halloween!! Those blow up costumes are hysterical, all those fake muscles!! I am just always so scared I reveal something important, the last Divergent book was spoiled by a stupid spoiler review on Amazon, still cant bring myself to read it. But yeah TWD was a major character who I have fingers crossed for!! It was my pleasure, it was a great post and it has given me some ideas even though I am on Blogger! For Blog Ahead, don't you think that even having some ideas started, and the drafts, as well as two scheduled posts (which is two more than usual, right?) is great? And knowing what works best for you when it comes to blogging is a good thing too! I think I am just beating myself up as I really wanted finished posts but it is a great start and you are totally right - I know what works better and alas scheduling is not my strongpoint!!! Halloween has been in my face thanks to the kids since about August!!! TWD is just brilliant, I love it! 48 ideas in draft is fantastic, often the hardest part is finding something you want to blog about so you are already half way there on that score. And I'm so looking forward to the release of Winer! As for driving in the dark, I had forgotten how much it slows me down, urrrggh, I'm not a fan. It slows me down too, not that I am a fast driver but I feel like I am tiptoing along!!! Blog Ahead was fun but it made me think long term too so even though I am not a scheduler maybe I am a planner! I love The Walking Dead, I hope said character is miraculously still alive!!! Well, at least you have some drafts...it will be nothing to post them. I don't celebrate Halloween, although I put out a couple of decorations. My grandkids have fun with it, though. Enjoy your new books: Sweet Dreams Bake Shop looks tempting, and so does The Revolution of Ivy. Sweet Dreams looks good, the fun cover caught my eye! I think I might need to start writing posts in advance for days when I have no motivation to do anything...it sounds like a good plan, though I've been more productive over the last few weeks. How long THAT continues is something else! Hope you had a good weekend! I know I have spells where I do loads and the other spells where I am like urgh! Sounds like a fun Halloween! We had a very quiet time here, but I enjoy all the activities on the internet and the fun things my kids do. Our clocks changed last night and the dark coming earlier isn't so much fun. I don't know why we all don't just do Daylight Saving time all year round. Oh, well! 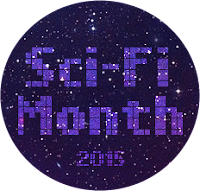 I'm participating in Sci-Fi month. Still working on some reading and posts...lol. I'm looking forward to seeing what other people post. Have a great week, Heather. Sci Fi month should be fun and with it being so dark outside, well it makes it the perfect time of year for getting cosy with a spacey book! 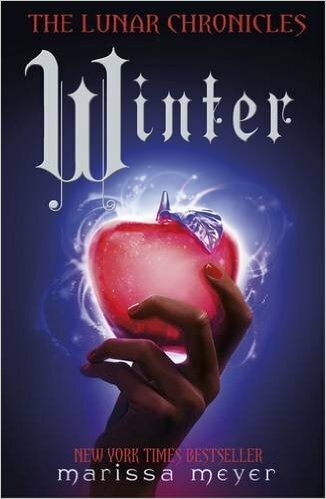 I can't wait to read Winter though I'm kind of sad the series is ending too. I reread the other books earlier this year in preparation. I hope you enjoy the books too! Glad you had a good Halloween! I did not have any Halloween candy this year though I was tempted. I was going to dress up yesterday for work (very subtly with a headband) but they didn't have any cute but inexpensive Halloween headbands left at the party store (no surprise as I waited till the morning of Halloween). I did dress up earlier in the week as a cowgirl for our murder mystery dinner at the library and I was a judge for the children's storybook character costume contest. It is always fun to see the kids dress up and go trick or treating through the library. 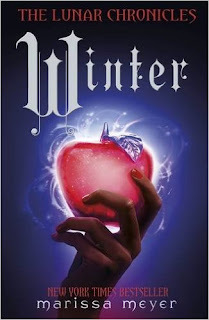 I am looking forward to reading Winter and all the other books, hope to do them back to back! All the Halloween goodies seem to vanish from the shops really quickly! The murder mystery dinner sounds fun and the kids costume contest, the costumes they makes these day are fab! Scheduled is always fantastic but drafts are good too because they require a lot less work than having to do a whole post at the same time. So I think you got a win on Blog Ahead. The ghost leggings were awesome and I'm glad you got good use out of them! We didn't do too much trick or treating so there isn't much candy I can steal though I do have my eye on a couple of mini bags of gummy bears that I'm planning on looting once bedtime comes around! 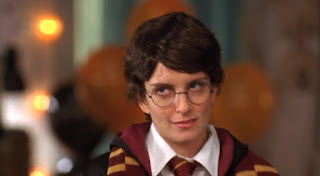 Your Tina Fey pics make me laugh every week! Have a great week and enjoy your new books! Glad you enjoy Tina, I have so much fun looking for good ones! Blog Ahead was fun but I think drafts are going to win over scheduled posts for me. I keep sneaking the kids sweets when they are not looking!! I can't wait for WINTER!! I have yet to read CRESS but I'm sure once I finish it, I will need Winter in my life. Happy reading! I want to read them all back to back, can't wait! No dressing up or sweets here, Halloween isn't as popular here in the Netherlands yet, although it is getting more popular. I did bake some pumpkin muffins though. I don't like it being dark so early either, it's like half the time I am awake or more it's dark. At least you have more scheduled posts than you started with and a lot of drafts. I never draft posts, I usually finish them or never start. I might have to give drafting a try too. 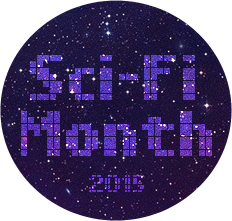 I am not participating in sci-fi month this year, but I did participate last year and had a lot of fun with it. I hope you have a great week and enjoy your new books! Mmm pumpkin muffins sound divine, I much prefer eating them than carving them!! I just like having the drafts there so when I am stuck I can just go and pick one, it may work, it may not, I am going to give it a try! I am SO excited for Winter. Of course I pre-ordered that. I need to read Fairest before that comes out. I honestly am in shock that they would ATTEMPT to kill off Glen! I am pretty sure they are not even going to talk about that tonight, we are probably going to spend the WHOLE episode back in Alexandria seeing what those guys are up to. The ANGST! I swear this whole season I have been on pins and needles. I haven't watched the new TWD episode but my work colleague told me it was crap and it didn't answer anything, so frustrating. He better not be dead, he is one of my faves! I am glad your ghost tights were awesome for Halloween! I hate the stinkin clocks going back an hour. My children's (and then my) schedules are all off. UGH. 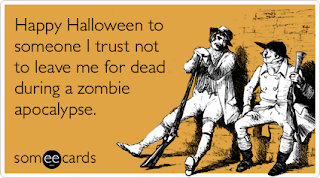 I don't watch the Walking Dead but i have been hearing all te talk going on about if they are or aren't dead. WINTER. I cannot wait!! Have a great week! I loved them but they have now become pyjamas since Halloween is over!!! TWD is brilliant but yep a lot of people talking about it so it is difficult to avoid the spoilers! Even partial draft posts are a good thing! I'm often quite excited when I discover I've started writing something as sometimes that's the hardest bit! It is the hardest bit, getting that spark of inspiration! I did Blog Ahead too and am happy with my results. 43 drafts is a good start; it'll be less work when you gt around to needing them. Yep it is less work, it was fun too! All the candy has gone from our shops to be replaced with Christmas treats!! OMG YES!!! Winter is already pre-ordered and I can't wait for it to show up!! That series is just amazing! And no, I don't think that character is really dead... It definitely looked like the other person was on top of him when they fell. Finger's crossed! Fingers crossed too! I love that character!! Can't wait to get started on Marrisa Meyers series! I need to read them all, I want to read them back to back as I hate waiting on a book in a series!! Woah, look at all those drafts! I love that idea (of having them all waiting there to be posted) but I am definitely more of a scheduler myself. 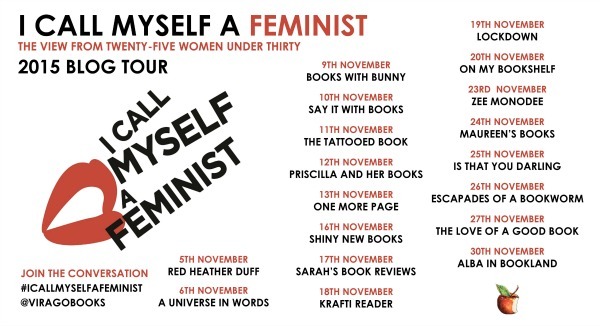 And the best part of having a co-blogger is that we can get a month of posts filled really easy between the two of us! I like the idea of a co-blogger but I also like to do things by myself too!! I'd love to schedule more, maybe one day! It is such a good event and I thoroughly enjoyed it! It did get me thinking of what I could be doing and that is a plus! 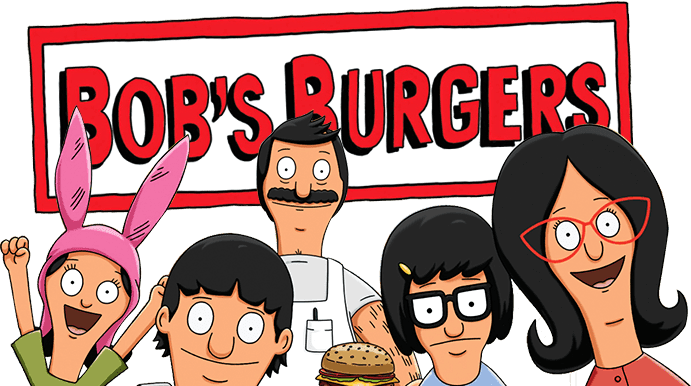 I love Bob's Burger's, Louise and Tina are amazing. I'm thinking of pre-ordering Winter, but I have a few other things I also want...and only one gift card, lol. As for Walking Dead...I don't think the character was dead before the end of the episode. There are plenty of ways that he/she can survive. I think if they just lay still longer enough for the horde to get distracted and leave, they'll be fine. Louise and Tina are great, I just love the voices they are so funny!! TWD, I haven't watched this weeks episode yet, I know he could survive, I hope he does but they have killed off favourites before. OMG, I'm just heartsick over TWD! I hope that person isn't dead, but after re-watching the episode I think they are :( I also can't wait for Winter. The Lunar Chronicles are awesome! I hope you like them. Smart of you to wait until the series wrapped up. I'm so sick of waiting for the next release in the series I read, and yet I can't seem to stop starting new ones. Ugh, the life of a reader! I hope not, I really hope not!! I hate waiting for a next book in a series especially if it is a long wait, I can forget what happens!